Brock Osweiler made the first shocking move of NFL free agency by spurning the Denver Broncos, his team since 2012, to sign with the Houston Texans. The Broncos wanted the 25-year-old quarterback back on the team, reportedly offering him a three-year, $45 million deal. The Texans trumped that offer with a four-year, $72 million deal, but that doesn't sound like the only reason why Osweiler decided to move to Houston. Osweiler's seven career starts all came in 2015 while he filled in for an injured Peyton Manning. Osweiler played reasonably well in those seven games, but during an iffy Week 17 performance against the Chargers in which he threw two interceptions, the Broncos benched him for Manning. The Broncos went on to win that game with the help of Manning, and Peyton was the starter throughout the postseason as they won the Super Bowl. The move reportedly upset Osweiler. Before Manning was healthy, there were reports that the Broncos were Osweiler's team going forward. He didn't play a snap the rest of the season after Week 17. ESPN's Jeff Legwold wrote on Tuesday that Osweiler might re-sign in Denver "if the money is right and if he has found a way to reconcile being removed from the lineup in the regular-season finale." While there were never direct reports that Osweiler was outright angry at being benched for Peyton, it does seem like it took him by surprise. At the time of the benching, Osweiler admitted it took him a little while to process that he was removed from the Week 17 game. Head coach Gary Kubiak said he didn't think it would affect Osweiler. Since Manning's retirement, particularly following a Super Bowl victory, the showering of love for Manning was setting up a difficult transition for Osweiler. It would be difficult for him to fill Peyton's shoes after a successful season, even if Peyton didn't play all that well in his final year. 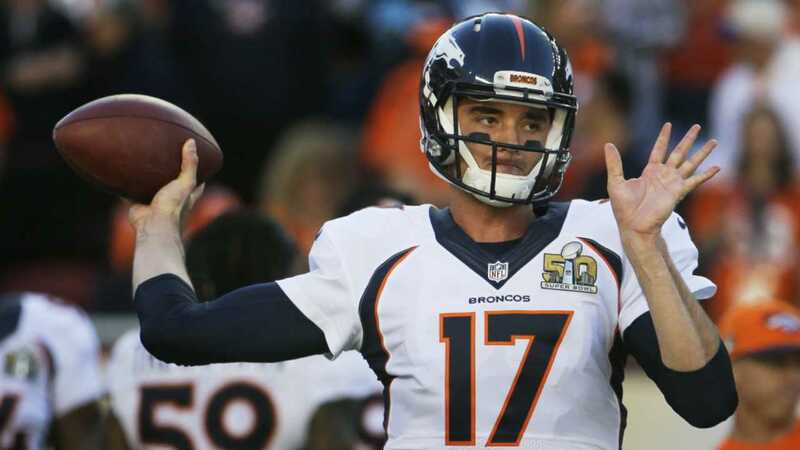 To get out from under that shadow is likely a relief for Osweiler. With a bigger payday in Houston, a solid defense, and an elite wide receiver already in place, it's not hard to see why the Texans were a more attractive option for Osweiler.